Liz Long, author of the fabulous Donovan Circus series, is a big nerdy Dean Winchester fan like yours truly. Since I am too busy writing to put together a real blog post, I decided to share this instead. Enjoy! Fear not! 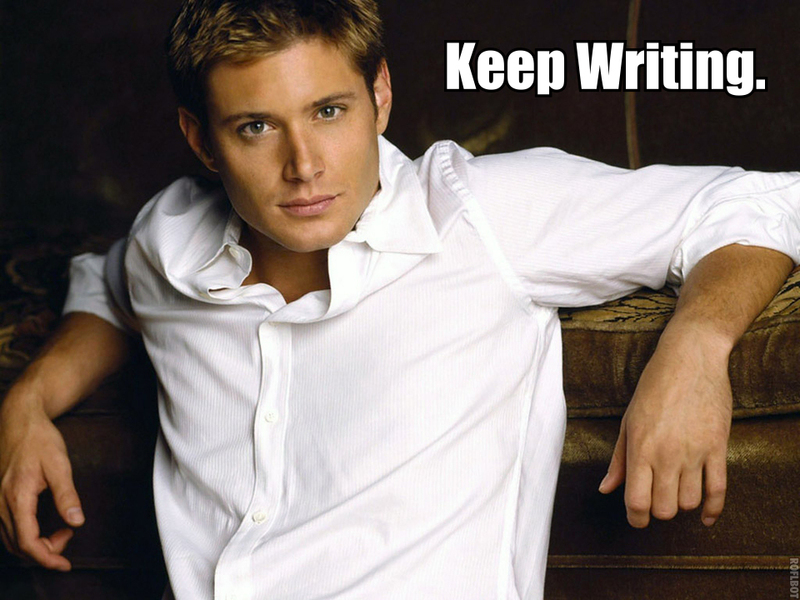 Dean is here to help! …and a lil hotness, too. He will give you the motivation you need to get started…. ….and the sweet little push you need to keep going. He might joke around with you…. …but he’s also not afraid of using a little tough love. When all you need are some simple words of encouragement…. ….or just a friendly smile…. When you tell him all about your plot plans, he really listens…. ….and even gets a little emo about it. If the Debbie Downers try to discourage you…. 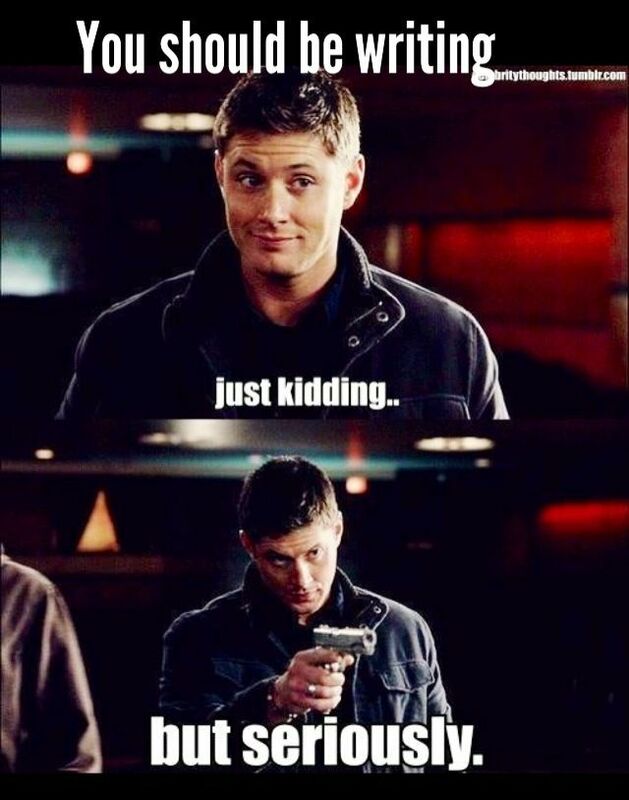 ….Dean will step in and handle the situation. Previous postWhy why WHY did I think it was a stellar idea to try to quit smoking???? Send me your good vibes!!!! I love this, and you. 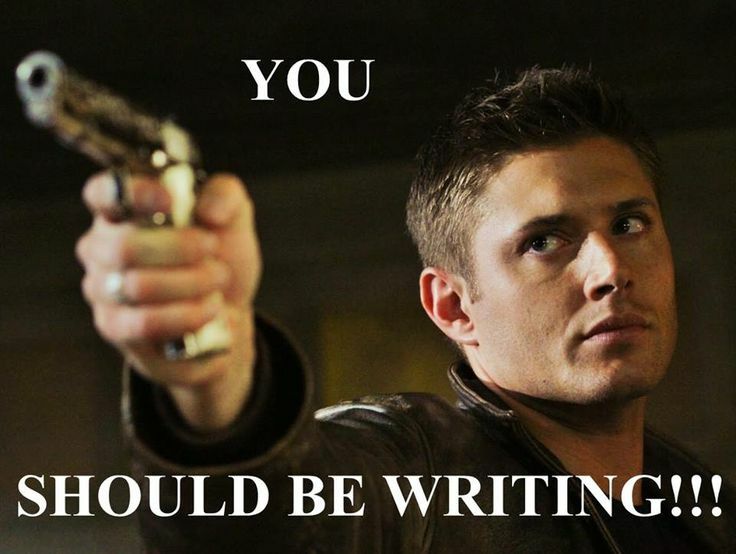 Now excuse me while I re-read and look at Dean gifs for the next 12 hours.